Festive colorful Multi Stone Jewelry Bracelets certainly lift the spirits of any day. Vibrant colors of the Southwest come alive in wearable Art by Native American Indian Silversmiths and Jewelry Inlay Craftsman. 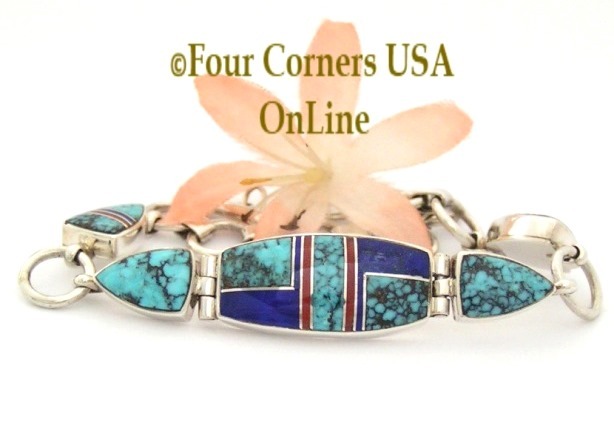 From the brilliant colors of Navajo Silver Jewelry showcasing Orange Spiny Oyster, Lime Green Gaspeite, Royal Blue Lapis to more subdued pieces in Traditional Zuni Inlay boasting Onyx, Coral, Mother of Pearl Shell.